As a GlobeMed member, I had sat through presentation after presentation on the many study abroad opportunities available, anxiously awaiting my chance to board an airplane and, briefly, wave goodbye to America. 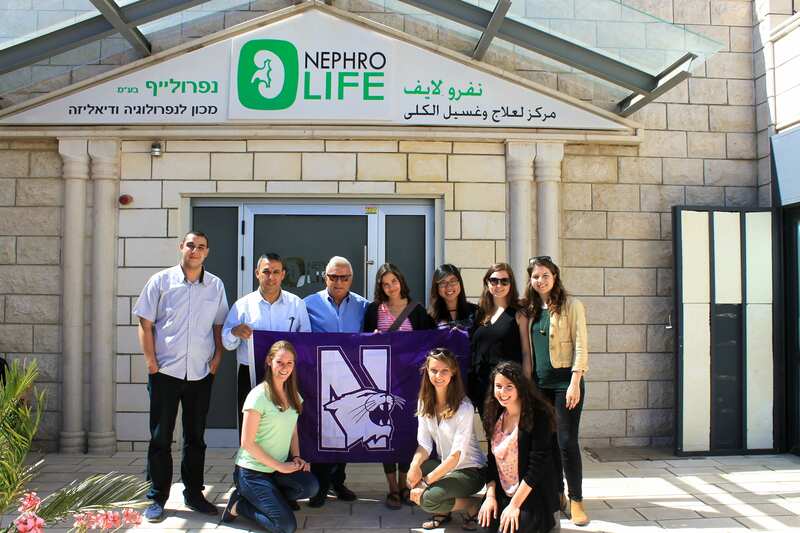 My turn finally came in the spring of 2015 when I landed in Tel Aviv as part of the Public Health and Society in Israel program run by Northwestern and Tel Aviv University. As a student interested in the impact of culture and conflict on health equity, I hoped that through experiencing this region I would be able to better understand what has worked and failed in implementing health initiatives across ethnic lines. While public health was the focus of my studies in the region I found that what Palestinians and Israelis were most passionate about teaching me, was simultaneously the pervasiveness of those ethnic lines in everything they did and the joy and pride they found in their lives and their cultures despite these. As an English-speaking American, the Israel-Palestine I had access to included Israelis and Palestinians, Sudanese and Eritreans, Thais and Filipinos; it was multi-ethnic, multi-religious and deeply, painfully divided. Through my program I visited a range of public and private health institutions that collectively provide for this diverse population. All Israeli citizens, regardless of employment status, pre-existing conditions, ethnicity etc., have health insurance and access to the same basic care package. This covers a range of potential needs including; chronic disease treatment, transportation to the hospital, in vitro fertilization, and drug and alcohol rehab. Notably missing from the list is mental health care, something that is simultaneously needed, due to the high rates of trauma experienced by people in the region, and taboo, because the prevalence of the trauma has led to the expectation that people should be able to “cope” on their own. One of the aspects of the health system that I was most impressed by was the emphasis on adherence to care. Everyone has insurance so everyone’s health is monitored. As “big brother” as this may sound, it is very effective in containing disease outbreaks and in ensuring people attend their yearly check-ups and adhere to prescribed treatments. Early childhood nurses make home visits if patients miss an appointment, and tele-medicine, in which nurses regularly check in with patients over the phone, is used to keep track of the needs of chronic disease patients. 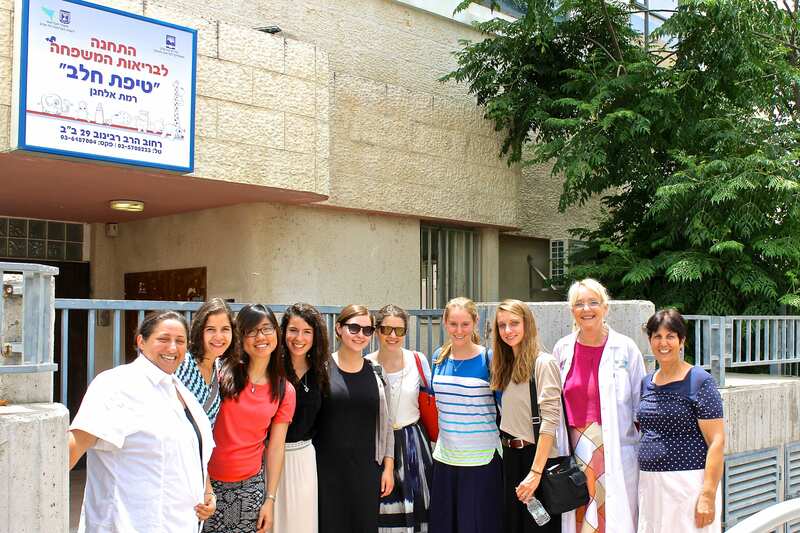 Despite these impressive initiatives, for the 25% of Israeli citizens who are not Jewish, the health system fails to provide consistent and equitable care. In GlobeMed we frequently speak about the social determinants of health, specifically how issues such as trust between care providers and care recipients, distance of populations from hospitals, and responsiveness of the health system to certain populations, all influence health outcomes. In my experience, Israel-Palestine is a case study in this reality. One example of this is the NephroLife clinic in Umm al-Fahm a primarily Muslim Palestinian town in the center of the country. The director of the clinic had tried to get the government to fund a dialysis center in the town so residents would not have to make the one-hour journey by bus to the nearest hospital. When the government failed to establish a dialysis center he founded NephroLife, a private clinic, that charges for its services. He is now working on bringing a hospital to the area, however, this too will be private, because he was unable to obtain government support. Before visiting this region I had always held up universal health care as the gold standard of health systems. However, the clinics I visited and the people I met while abroad made me realize how much this system of government oversight relies on trust between the people and government; trust that is easily broken through conflict and discrimination. Though I did not return to America with answers about how to improve cross-cultural care, I did come away with the firm belief that the first step to improving health outcomes anywhere in the world starts with building relationships that are rooted in respect, dignity, and recognition of history.